A man smoking a cigarette. 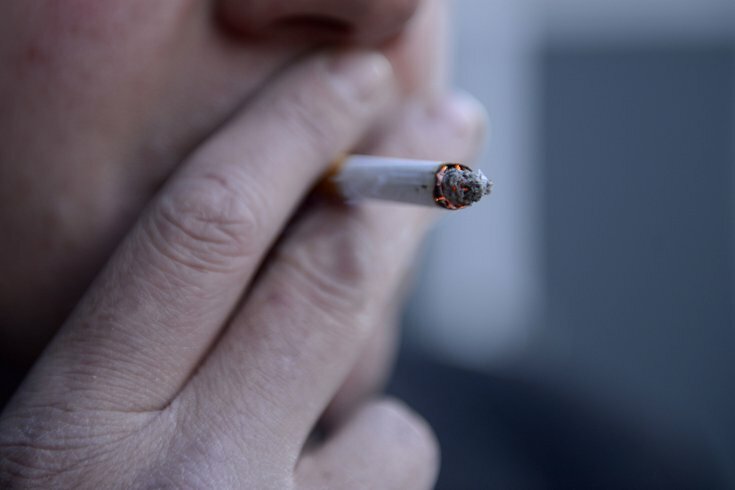 The number of U.S. adults who smoke cigarettes continues to decline, according to an annual national health survey conducted by the Centers for Disease Control and Prevention. The percentage of surveyed adults who currently smoke cigarettes dropped to 13.9 percent in 2017, continuing a downward trajectory that began decades ago. In 1965, some 42.4 percent of U.S. adults smoked cigarettes, according to CDC data. That percentage first dipped below 30 percent in the mid-1980s, but did not fall below 20 percent until 2007. Smoking is now known to cause cancer, heart disease and other health problems – an awareness that was less prevalent in the 1960s. Adults between the ages of 45-64 were the most likely to smoke, at 16.4 percent. Adults over age 65 were the least likely, with just 8.2 percent smoking. The biggest disparity came between urban and rural areas. People who live in rural areas were far more likely to smoke cigarettes than people who lived in cities. Among people living in a large metropolitan area, 11.4 percent currently smoked. Cigarette usage was higher among smaller metropolitan areas, at 15.6 percent. But it rose to 21.5 percent in rural areas. The data is just one portion of the National Health Interview Survey, released Tuesday by the CDC. The annual survey also includes sections on alcohol consumption and obesity, among other health concerns. The CDC defined current smokers as anyone who smoked more than 100 cigarettes in their lifetime and now smokes every day or some days.